A marvelous thing happened today. It seems I’ve been doing a lot of outreach-type activities the last few weeks – today’s open house, a “Discover Science” day to celebrate the opening of the new Centennial Centre for Interdisciplinary Studies, and a talk for the local Girl Geek chapter’s monthly dinner. I like doing these sorts of things for a variety of reasons. I feel it’s important to show people that scientists are just regular folks, that science can be very accessible, and to make science a bit more transparent to the public. I like encouraging people to get involved in science. I also feel that since I have benefitted from government scholarships, and thus I have been paid by taxpayer money, that it is important for me to be ‘giving something back’, as it were. Finally, I also find science outreach fun, and so I do it for me, too. 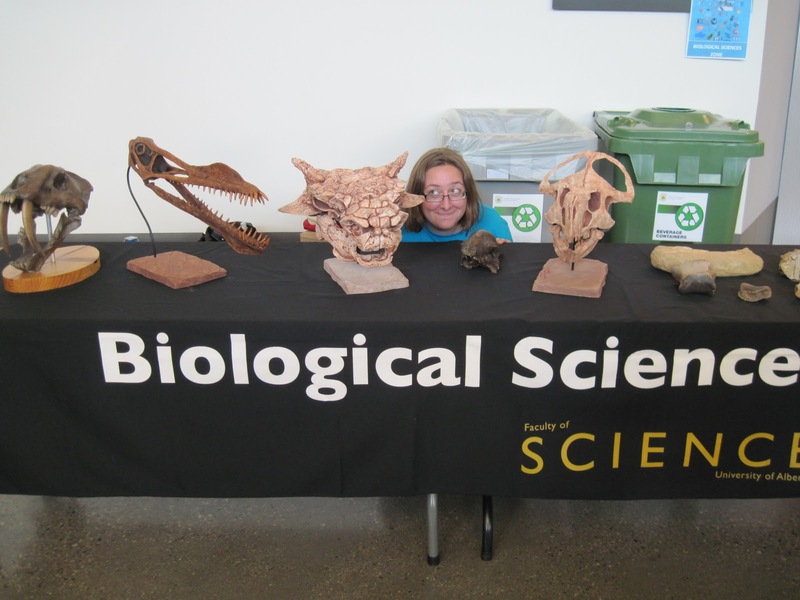 Here’s a couple of shots from the Discover Science day, featuring a palaeo-themed Biological Sciences booth manned by myself and Currie Lab postdoc Angelica! Angelica shows off a mammoth tooth. Pro tip: these are really popular with non-palaeontologists because they look so unlike teeth. Yours truly with a selection of friends. 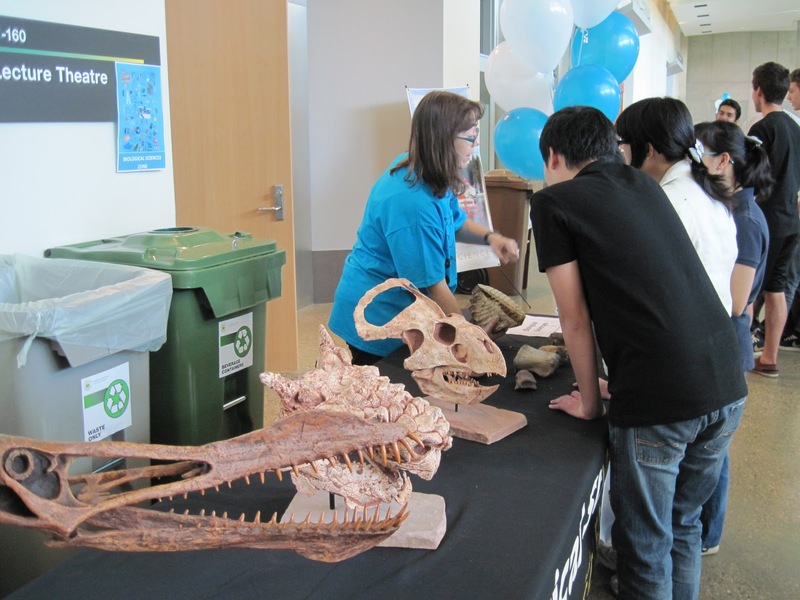 Many of these casts are also used in our PALEO419 labs, although we also had a few sturdy real fossils to show off.